Many people think of life insurance only in terms of a death benefit. 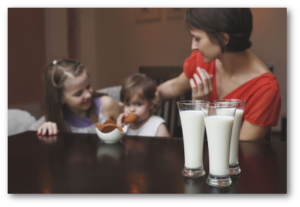 Perhaps they’re unaware that some types of life insurance offer features beyond a death benefit. Many of those features, sometimes called living benefits, are highly desirable, and—this is important—those features cannot be found in any other kind of financial product on earth. If term life insurance is the most common form of life insurance, whole life insurance is the oldest form of permanent life insurance. Having an insurance policy that is guaranteed not to expire before you do means that a policy you purchased to provide protection for your family will protect them, no matter when you pass away. You can use a portion of it to pay your policy premium when it comes due. This allows policies to be designed so that no more premiums are due once you retire, for example. You can take out a loan at a rate that is often lower than banks offer. The bigger your cash value, the larger the loan you can take. You can use your cash value to supplement your other retirement income. This can help you maintain your lifestyle, even in the face of inflation. And if you’ve ever wondered what happens to the cash value of life insurance when you die, this policy statement reveals some surprising facts! The insurance company guarantees that the cash value of your whole life insurance policy will grow over time. In fact, the minimum value of your policy’s cash value is guaranteed in any given year. 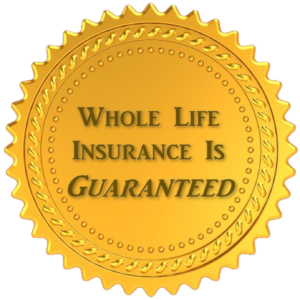 Whole life insurance is the only form of life insurance that guarantees that. With a whole life insurance policy, the insurance company assumes the risk of poor investment performance. With every other form of permanent life insurance, you—the policy owner—assume the risk of poor investment performance. Whole life insurance policies provide a guaranteed cash value component that grows according to a formula the insurance company predetermines. You will be able to see a table showing you the guaranteed growth, year by year, before you make a commitment to purchase a whole life policy. Universal life insurance policies determine how much your cash value should grow based on current interest rates, which, of course, vary over time. Variable life insurance policies allow you to invest funds in policy subaccounts, similar to mutual funds. Your cash value will increase or decrease, depending on the performance of these subaccounts. 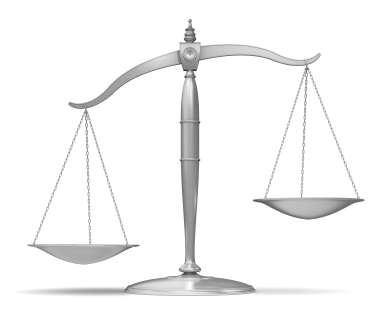 What happens if performance of the cash value of your universal or variable life policy drops? Who has to ante up more premium to keep your policy in force? You do. Or you can cut back on your death benefit. Neither option is good. If you have a whole life policy, you will not have to make those terrible choices. The premium, cash value, and death benefit are all guaranteed. And did you know you can find out exactly what your guaranteed premium, cash value and death benefit will be – at any point in time – before you decide if it makes sense to start a whole life policy? Just request a FREE, no-obligation Analysis here to take the first step. Dividends represent a return of a portion of your premium. In a way, it’s like getting an income tax refund. Now, dividends are not guaranteed. It’s conceivable an insurance company could have a terrible, horrible, no good, very bad year. In fact, that’s what the company plans for. And every year that’s better than they planned, they can pay a dividend. Life insurance companies preferred by Bank On Yourself Authorized Advisors have paid dividends every single year for well over a century – including during the Great Depression and Great Recession. You get to tell the insurance company what to do with your dividend. You can have them send you a check or hang on to the money and pay you interest (which, like most any interest you earn, is taxable). Or—and this just might be the neatest thing since cupcakes—you can have them use your dividend to purchase more insurance for you— insurance you’ll never have to pay another premium for again. Think about that! You can buy additional insurance that’s paid up, meaning no more premiums will be due on that addition—ever. And what’s especially nice is that your paid up additions will also generate dividends, and you can use those dividends to purchase more paid up life insurance, which will also earn dividends … and so on. If that reminds you of the eighth wonder of the world—compound interest—that’s because the concept is exactly the same. Only paid up whole life insurance additions build both your policy’s cash value and your death benefit. You can learn more here about dividend-paying whole life insurance, which many people find particularly exciting. Term life insurance premiums go up—sometimes drastically—with every new term, because much of the cost of insurance is based on how likely you are to die at a given age, and as you grow older, that likelihood goes up. Universal and variable insurance premiums can go up, too—again, sometimes drastically—if cash value drops due to low interest rates or poor investment performance. But whole life premiums are guaranteed to remain level—forever (unless you have the type of policy that reduces or eliminates premiums at a specific time, say, retirement age). The answer is elegantly simple—and it helps explain why whole life insurance is more expensive than term insurance in the early years of the policy. “In the early years of the policy, a higher percentage of your premium goes toward the cash value. Over time, the amount allotted to cash value decreases. It’s similar to how a home mortgage works: In the early years, you pay mostly interest while in the later years most of your mortgage payment goes toward principal. “Each year as you grow older, the cost of insuring your life gets more expensive for the life insurance company. (This is why the older you are, the more it costs to purchase a term life policy.) When it comes to cash-value insurance, the insurance company factors in these increasing costs. 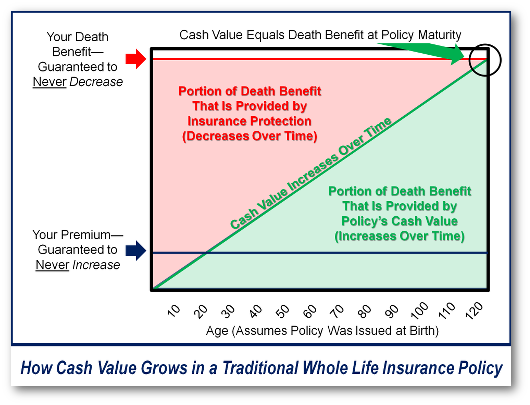 The cash value of a whole life insurance policy is guaranteed to grow every year, until, eventually, the cash value equals the death benefit. Brilliant question! Because the cash value continues to grow, eventually it has to equal the amount of the death benefit, right? Insurance companies typically design their policies so that the two lines—growth of cash value, and amount of death benefit—meet at age 121, well after the average life expectancy. At that point, if you did live that long, the insurance policy would mature. The policy would end, and the insurance company would just give you the cash. NOTE: A dividend-paying whole life policy grows both your cash value and your death benefit over time. 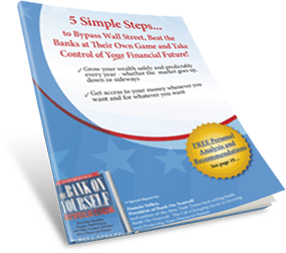 You can get instant access to a FREE 18-page Special Report that reveals how super-charged dividend paying whole life insurance lets you bypass Wall Street, fire your banker, and take control of your financial future. People ask if whole life insurance is taxable. The government extends extremely favorable tax treatment to life insurance, presumably because of the unique role life insurance plays in protecting people against the risk of economic loss. This favorable tax treatment allows a properly-designed whole life insurance policy to do double duty: It can ultimately provide an income tax-free death benefit, but in the meantime, it can allow you to grow a stash of cash tax-deferred, then use that cash tax-free. Learn how to get money out of a whole life insurance policy tax-free. Which Is Better: Whole Life or Term Life? Which is better? That brings us full circle to the beginning of this article. It depends. If you want the tax advantages and the living benefits of a whole life insurance policy during your entire life, and if you are in a position to pay the higher initial premiums, then consider whole life insurance. Term life insurance is often purchased by those (1) who need life insurance only for a specific amount of time, (2) who do not understand the lifetime living benefits of whole life insurance, or (3) who cannot afford the higher initial premiums paid for whole life insurance—or all three. What if you want a whole life policy, but you’re simply not able to earmark that much of your monthly income to fund the savings portion of your policy—at least not right now? If your income is low and your expenses are high, finding the money to pay the premiums on a policy that builds cash value may simply not be possible. In that case, it may be wise to buy a small amount of whole life insurance now—enough to get you started—and combine it with a strategic purchase of term insurance that you can convert to whole life insurance down the road—without having to prove you’re in good health. A Bank On Yourself Authorized Advisor can show you the advantages of combining a term rider with a whole life insurance policy, as a sort of hybrid life insurance policy. 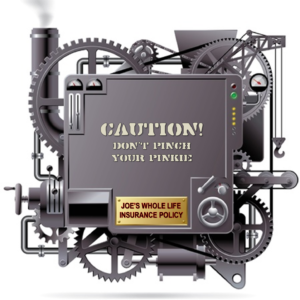 Often, the overall growth of the whole life insurance policy’s cash value can actually be boosted with this strategy. To learn more, and to discover what an insurance strategy based on a properly-designed whole life insurance policy can do for you, request your free no-obligation Analysis today.